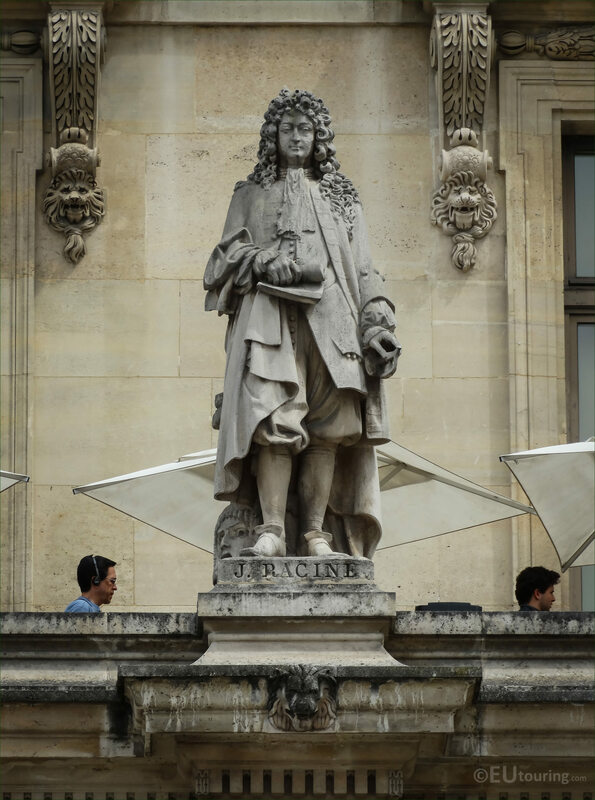 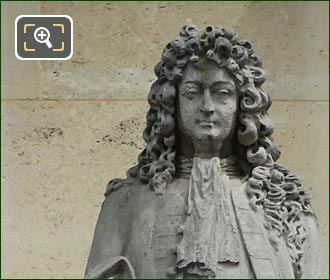 We were within the courtyard of the Musee du Louvre called the Cour Napoleon when we took these high definition photos showing a statue of Jean Racine, which is located on the Aile Colbert in the 1st Arrondissement of Paris. 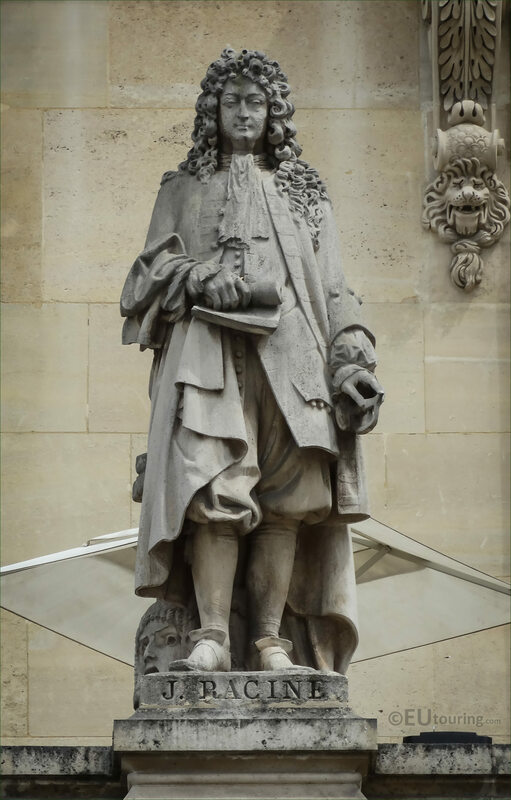 This first HD photo shows the stone statue of Jean Racine, which is positioned on the first level balustrade of the Aile Colbert wing of the former Palais du Louvre, and this can be found third from the right hand side as you are looking at the facade from the courtyard. 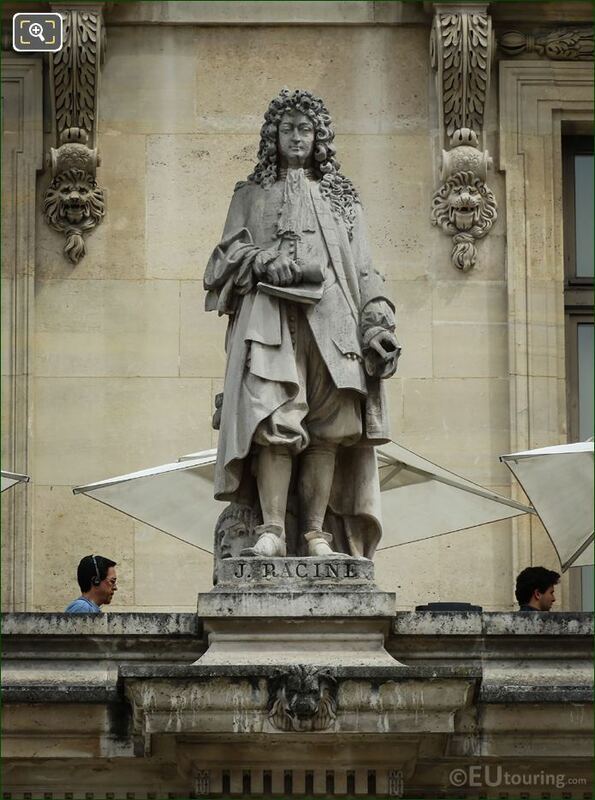 Now this is just one of many statues of famous men in French history that adorn the facades around the courtyard, and produced by many different artists, this one was sculpted by Michel-Pascal, who was actually born Francois Pascal Michel in 1810 and passed away in 1882. 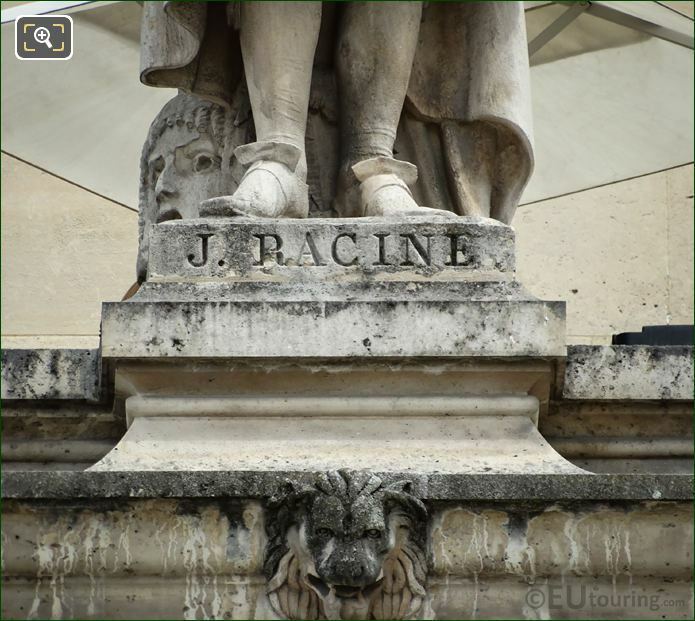 And as you can see from the close up showing the base of the statue with its name inscription, this is dedicated to Jean Racine, or Jean-Baptiste Racine who was born in December 1639 and became a French dramatist, who was classed as one of the great playwrights of the 17th century France. 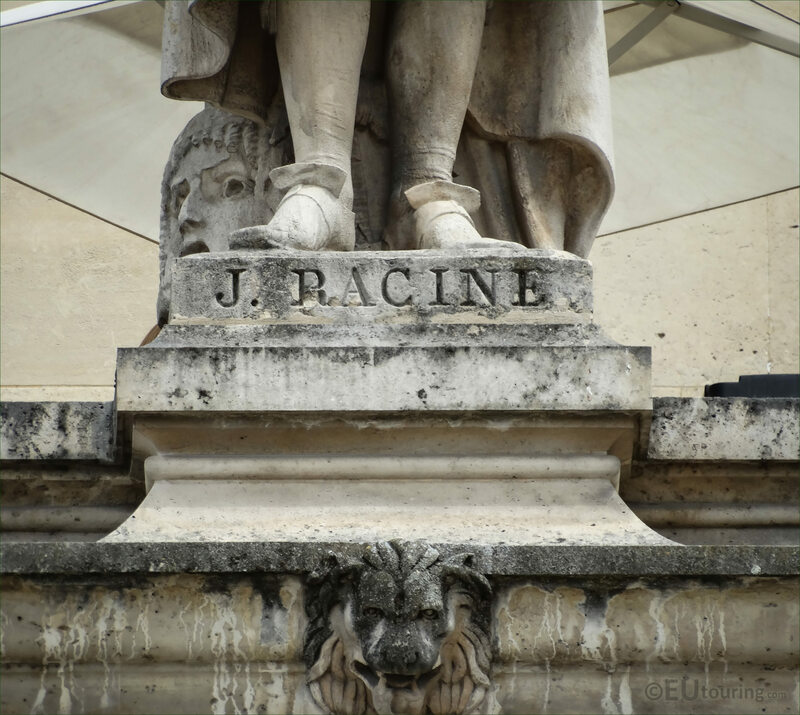 But he did not always work in theatre, as at one point he took a position as a royal historiographer in the court, then in 1672 he was elected to the Academie Francaise, then provided a title of Treasurer of France and eventually Secretary of the king in 1696, but Jean Racine did return to theatre at the request of Madame de Maintenon, prior to passing away in April 1699.